Not so long ago we were excited by the results reached by the Zeiss Apo Sonnar T* 135 mm f/2.0 ZF.2 which, on the sensor of the Nikon D3x, could get to a record-breaking level of 49 lpmm. Now our record chart should be actualized again - the graph with the results of the Otus 1.4/55 in the frame center, on the edge of the APS-C/DX and full frame is the proof. When it comes to the frame centre, we were the most interested in the performance by f/1.4 as all 1.4/50 class lenses, tested by us so far, experienced serious problems when wide open. Few of them were able to get to a decency level which, in case of D3x based tests, is set at 30-32 lpmm. The Zeiss Otus 1.4/55 compares very favourably with its rivals because at the maximum relative aperture it reaches 38 lpmm. On stopping down the situation only improves and by f/4.0 the MTFs are on a record-breaking level of 50 lpmm. The chart below makes it easier to see that the Otus is really far better than all its competitors. 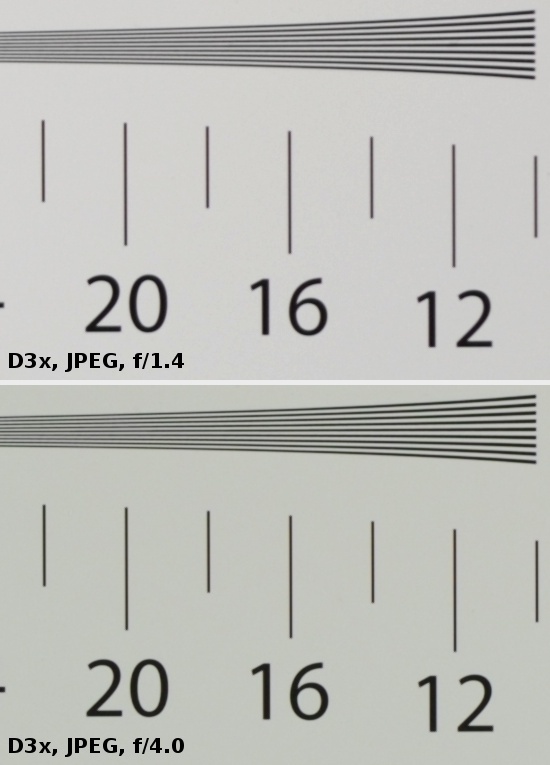 It shows the results of different 50 mm instruments, tested by us on the sensor of the Nikon D3x (the first line of the chart shows their performance at the maximum relative aperture and their best results are in the second). As you can notice only the Zeiss Macro Planar can compete with the Otus at the maximum relative aperture – still you should keep in mind the fact that in the case of the Planar that aperture amounts to f/2.0. All other 50 mm lenses are inferior to the Otus which simply doesn’t have any weak points here. The performance of the Otus 1.4/55 on the edge of the APS-C/DX sensor we assess equally well. Even at the maximum relative aperture the results are fully useful ( meaning here MTFs on a level of 33 lpmm) and on stopping down they even rise to a truly excellent level. By f/5.6 the Otus gets to almost 45 lpmm. Even some fixed focus lenses have problems with achieving such a level in the frame centre (e.g. the Nikkor 1.4/50G). First objections appear on the edge of the full frame. By f/1.4 and f/2.0 the lens lands a tad below the decency level – the off-axis aberrations like the coma and the astigmatism make themselves felt here as the Otus doesn’t correct them in a perfect way. 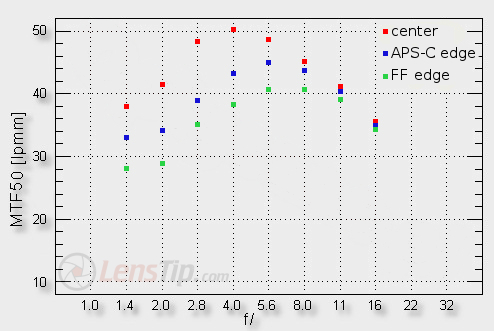 Fortunately on stopping down the resolution level improves very quickly and if you stop the aperture down significantly the MTFs can get to a really very good level of over 40 lpmm. You can say that our comparison between the Otus and other 50 mm class lenses, available on the market, wasn’t completely fair because the big difference in price. That’s why we also decided to compare the performance of the Otus and that of the Leica Summilux M 1.4/50, a lens which costs roughly the same amount of money. 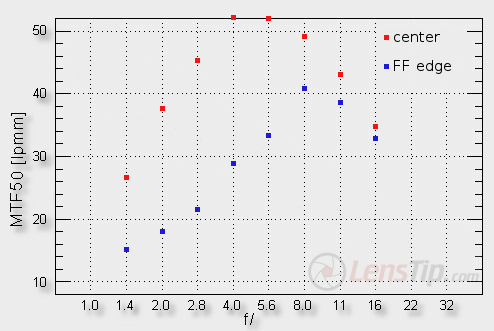 Its resolution was tested by us with the help of the Leica M9 camera and the graph below shows how the Summilux fared in the frame centre and on the edge of full frame. The Leica M9 camera features a sensor devoid of an AA filter so its MTFs are even a tad higher than those of the Nikon D3x. In order to make our comparison between the Leica and the Zeiss lenses fair you should distract from the values reached by the former some 1-2 lpmm. 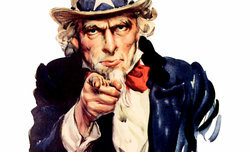 Still, even if you didn’t do that, you would have to admit the Zeiss wins hands down. In the frame centre the Summilux provides useful images only on stopping down near f/1.8. It also fares very weakly on the edge of full frame, where, near the maximum relative aperture, the image is simply weak until you stop down the aperture to f/5.6. It is clear that the Zeiss performs better even than its very expensive rivals. The summary of this chapter will be quick. The Zeiss Otus 1.4/55 is undoubtedly the sharpest 50 mm lens we’ve tested so far. At the end, traditionally, we present crops taken from the frame centre of our resolution testing chart photos, taken from JPEG files.